A quick sear in a hot pan is the best way to make restaurant-quality sea scallops at home. All you need for a fabulous finished dish is a flavorful pan sauce like this one made with butter, white wine, garlic, lemon and a splash of cream. Serve with mashed potatoes and a simple green veggie like sautéed spinach. 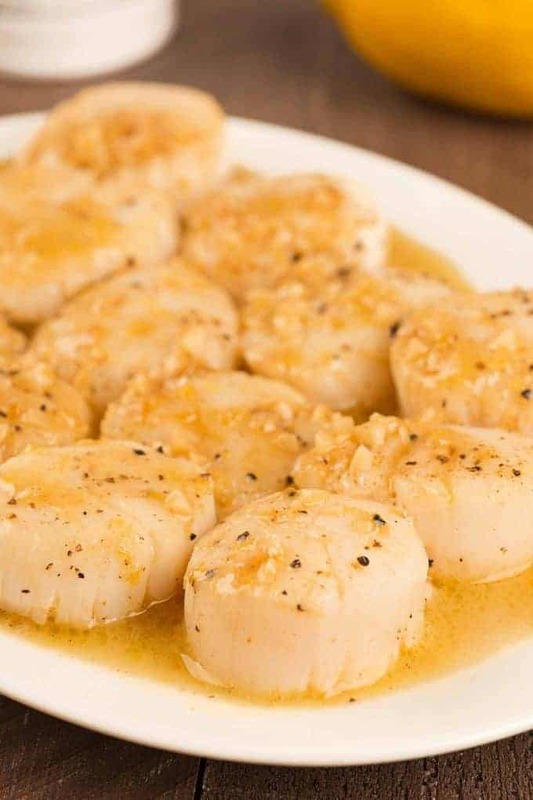 For a quick, yet delicious dinner, try these perfectly-cooked, pan seared sea scallops served with a flavorful pan sauce of butter, garlic, white wine, lemon and cream. Season the scallops on both sides with salt and pepper and set aside. Assemble the rest of the ingredients near the stove so you can work as quickly as possible. Heat a large, heavy skillet over medium-high heat until very hot, 1 to 2 minutes. Add the olive oil and 1 tablespoon of the butter and, as soon as the butter begins to foam, add the scallops in a single layer. Work in two batches if necessary to avoid overcrowding the pan. Depending on their size, sear the scallops for 1 to 1-1/2 minutes per side, transferring them to a plate, one by one as they cook through. Cover loosely with foil to keep warm while you make the sauce. Add another tablespoon of butter to the pan, heat until foamy, then add the garlic and sauté until fragrant, about 1 minute. Deglaze the pan with the wine, scraping up any browned bits from the bottom. Stir in the lemon juice, zest and any juices that have accumulated on the plate with the scallops. Combine well, stir in the cream and the last tablespoon of butter. Remove from the heat as soon as the butter is melted. To serve, plate the scallops and drizzle with sauce. 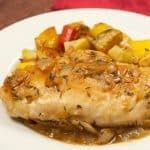 Use only the “dry” variety in this recipe as you will not be able to sear the “wet” type properly. 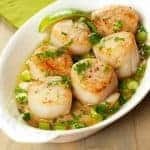 Be sure that you work quickly with the scallops and don’t overcook them. You are looking for just a little golden-brown color around the edges and a creamy colored, slightly translucent center. OH MY! This is the BEST scallop recipe I’ve ever made!!!! I added xanthum gum to the sauce to thicken it up without the carbs. So happy to hear you liked the scallops. Thanks for letting us know about using xanthan gum to thicken the sauce. It’s a great gluten-free solution! Be sure to pay attention to notes on scallops – DRY is important – I also pat them in paper towels before cooking to be sure I get a nice browning. 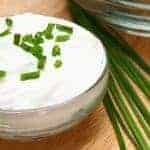 This is a very good recipe and I have used it several times. I think a lot of people are afraid to cook scallops at home. I’m glad our recipe worked out well for you. How much sauce does this make? Enough to toss with some angel hair pasta? The recipe only makes about 1/3 cup of sauce. If you wanted to make enough to toss with angel hair, I would make the sauce first, set it aside, then cook the scallops and add the juices they give off to it. You can follow the general directions for the sauce, but you’ll need adjust the ingredients. Here are my thoughts: Increase the garlic to 3 cloves and sauté it with 1 tablespoon butter and 1 tablespoon olive oil. Deglaze with a 1/4 cup of white wine. Add 3 tablespoons of lemon juice along with the zest, but stir in 2 tablespoons of low-sodium chicken broth in addition. Add 3 tablespoons cream and 2 tablespoons butter at the end. This would give you about 3/4 to 1 cup of sauce, enough to give 8 ounces of angel hair a light coating of sauce. You might want to add a bit of chopped parsley too. One thing to keep in mind though – this will dilute the flavor the scallops add to the sauce. Hope that answers your question! I made your recipe and it was a hit! My boyfriend thought it was better than anything he ever had in a restaurant. I added a thin sliced shallot to it and used Irish butter. Oh its best to make sure your scallops are dry when you cook them that way they brown nicely. Thank you for the GREAT recipe ! Thanks for taking the time to comment. I’m so glad you gave our scallop recipe a try. 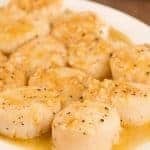 So many people hesitate to cook scallops at home, but it is really easy. The Irish butter is a great idea (less water) and shallots are always a nice addition. 1/4 cup raw cashews in a blender with 1/4cup water, blend on high for 3 min. Then add to the sauce. If you have leftovers from the two tbs. 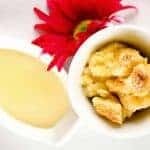 drizzle on fruit You can replace cream in any recipe and if you need sour cream just add a pinch of salt and 1 tsp apple cider vinegar or lemon juice for the acidity. That’s some great information to have on hand Alicia. This is the kind of feedback we love to get. Thanks again! Using the scotch is a great sounding variation. Did you use 2 tablespoons – same quantity as the wine? The cashew cream must give the sauce a silky consistency too. Thanks for sharing. So glad you liked the recipe. Thanks for taking the time to let us know. WOW! I have never cooked anything that smelled (and tasted!) so delicious. Pretty sure this has to be the best scallops recipe ever. Thank you! I just sent a picture of this to my fiance`! Scallops are his favorite and I was looking for a recipe! This looks like a nice addition to my Friday night romance dinners that I do for him once a month! I’ve just bookmarked this whole website. Good MARRIED cooking for my future hubby!! I’m gonna have to make sure I excercise cuz I LOVE cooking for him and these recipes make my mouth water just looking at them! Hi Kim – Thanks for bookmarking the site. Hope you find more recipes to enjoy. Scallops are one of my favorites too – I’m sure you and your fiancé will enjoy this version. This is very good! I like all types of sauces with lemon and it’s always good choice when you cook seafood. These seared scallops certainly sound delicious. Since I’m new here, I’ll be searching your recipes for the ‘sauted spinach round’ you mentioned above. Hope I find it. what kind of cream to use? thanks! We generally use heavy cream, but for the small amount that’s in this dish, you could use light cream as well. Cooking is really easy – just read your recipe through carefully before you begin so you have a plan in your mind and get all your ingredients ready so you can just add them according to directions. Don’t be afraid to follow your instincts – there are variables in every dish, and if it doesn’t turn out the way you’d hoped, remember, it’s only one meal. You’ll be hungry again soon enough and have a whole new opportunity to try your hand at something else!